Roy Swan reveals how investing decisions improved NYC’s low-income housing. Effective January 4, Roy Swan will become the Ford Foundation’s director of its Mission Investments team. While he wraps up 2017 as managing director and co-head of Morgan Stanley’s ($2.3 trillion) Global Sustainable Finance team, Roy Swan will open the new year at the Ford Foundation as director of its Mission Investments team. As he finishes his tenure with the banking giant, CIO caught up with Swan, one of the founding CIOs of New York City’s Upper Manhattan Empowerment Zone, to talk about his accomplishments, his thoughts on where the most potential future impact investments appear, and more. CIO: Can you describe what your role on the sustainable finance team entailed? Swan: I was Co-Head of Morgan Stanley’s Global Sustainable Finance team, which has committed over $13 billion in community development investments since 2010. 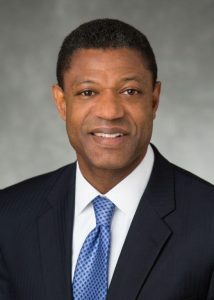 I also served as the bank’s Community Reinvestment Act (CRA) Officer, CEO of Morgan Stanley Impact SBIC, and Trustee of the Morgan Stanley Foundation. CIO: Where do you see the most potential for impact investments in the future? Swan: The Foundation’s initial focus will be affordable housing in the US and financial inclusion in emerging markets in the global south. With respect to the future, I note that the Ford Foundation has an enormous registry of intellectual capital in housing and financial inclusion built over its decades of work, coupled with enormously talented people. Another priority for Ford is integrating the values of diversity, equity, and inclusion in the investment strategies and in the larger field. This includes paying attention to the makeup of investment teams—where they invest, as well as with what values. I look forward to working with my Ford colleagues and tapping the Foundation’s deep well of knowledge to determine the way forward. CIO: As founding CIO of New York City’s Upper Manhattan Empowerment Zone, what did you find effected the most change? Swan: The Upper Manhattan Empowerment Zone’s $250 million in funding played a key role in Harlem’s remarkable economic rebirth. One noteworthy project I worked on was Harlem USA, which was the largest retail and entertainment complex in Harlem’s history at the time. It brought Magic Johnson Theaters to Harlem. CIO: Do you have a story/anecdote/example of how your investing made positive changes to NYC’s low-income housing? Swan: At Morgan Stanley, the Global Sustainable Finance group formed a multifamily distressed rental housing rescue strategy. The strategy targeted buildings in the Bronx and was implemented largely through a private equity fund formed with the National Equity Fund (“NEF”), a subsidiary of the Local Initiatives Support Corporation. In a unique twist to traditional private equity, the management fee went primarily to nonprofit partners and a set-aside dedicated to pay for social services for building residents, like a Baseball Hall of Fame after-school education program, community gardens, and college access programs. While the NYC distressed rescue strategy helped rehabilitate nearly 700 rental units in the Bronx, the most famous example was 1520 Sedgwick Ave., also known as the birthplace of hip hop. 1520 Sedgwick is where DJ Kool Herc and his sister, Cindy Campbell, organized the party where Herc spoke over the music while spinning records. Fun fact: 1520 Sedgwick was later the subject of a Google Doodle! 1520 Sedgwick was a case of landlord abandonment, with low-income residents left on their own to deal with maintenance issues, building deterioration, and awful living conditions as the building sank into deep financial distress. Morgan Stanley worked with community-oriented partners, including NEF and Workforce Housing Advisors, to help rescue the building from financial distress, improve the physical condition of the buildings, and bring value-added services, which enhanced quality of life for its residents. CIO: Any tips for doing it right? Swan: The secret for success at Morgan Stanley Global Sustainable Finance is collaboration with community-oriented partners. We believe in the power of community-oriented public/private partnerships to generate positive community impact while delivering attractive risk-adjusted returns on capital. We invest significant time and energy into selecting trusted community-oriented partners who, together with our government partners, collaborate to generate positive community impact. Each partner contributes its unique expertise or resources or both. We believe a community of collaborators can get a lot more done more efficiently than any of us individually.